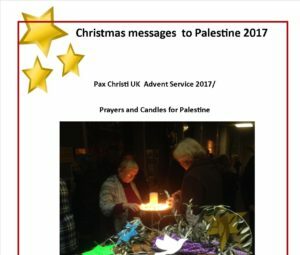 Advent is a time to turn toward Bethlehem and behold the occupants for whose sake the saviour was born, those who still live under occupation, denied their freedom, dignity and independence. Advent calls all who espouse justice and peace to allow the people of Bethlehem to rejoice at Christmas by working for the restoration of their dignity, freedom and independence. From the First Sunday of Advent reflection H.B.